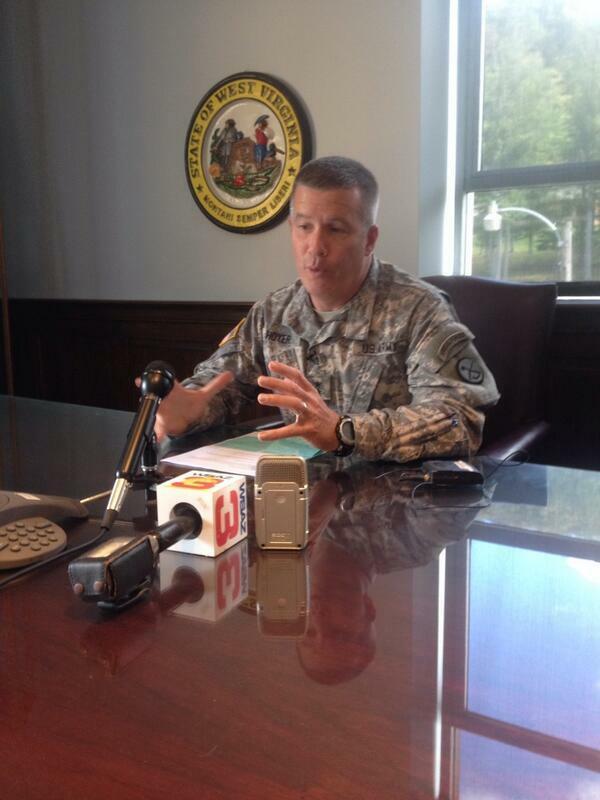 Adjutant General James Hoyer of the West Virginia National Guard outlines the effects of the federal shut down to reporters during a Tuesday afternoon press conference. Hoyer said he had to send home nearly half of the 2,300 guardsmen and women around the state. “Last night I saw all across the national news—and again this morning—that this House Resolution 3210 was going to ensure pay for military personnel,” said Hoyer. Hoyer also noted there are 389 individuals that are federally-reimbursed employees for the Guard, including 30 military firefighters deployed at Yeager Airport. Currently, those employee salaries, which total $227,000 a week, are being “floated” by the state government. Hoyer said the state may not be able to continue to cover those salaries if the federal shutdown continues too long. That would force Yeager Airport to employ county or city firefighter resources, according to airport officials.